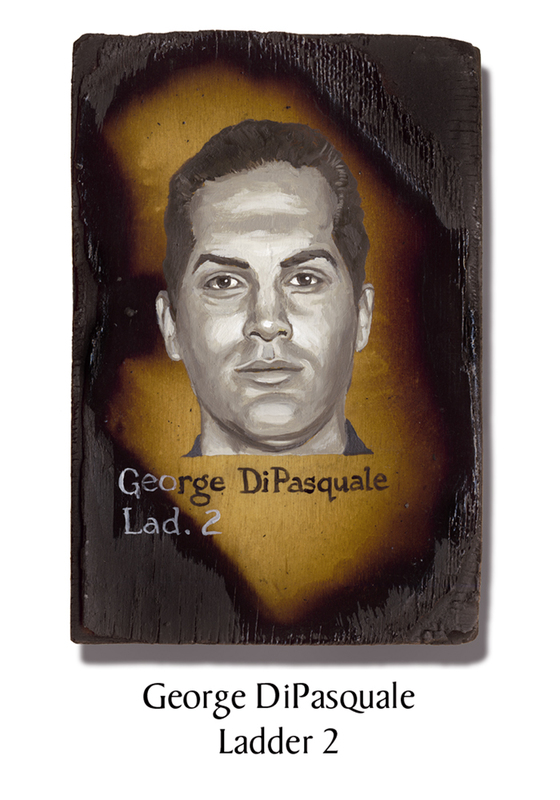 Nicknamed “Holy Man” at the firehouse for his passion as a Jehovah’s Witness, Firefighter George DiPasquale, 33, was an imposing 6’5″ tall. “He was a man who practiced what he preached,” said his father-in-law. He so loved helping people that firefighting was a natural fit. His daughter was 20 months old that September. This entry was posted in Better Angels Stories and tagged 343, 9/11, better angels, Dawn Siebel, FDNY, firefighter, firefighters, firefighters of 9/11, George DiPasquale, Ladder Co. 2, LODD, Manhattan, memorial, NFFF, paintings, portraits, World Trade Center, WTC. Bookmark the permalink.